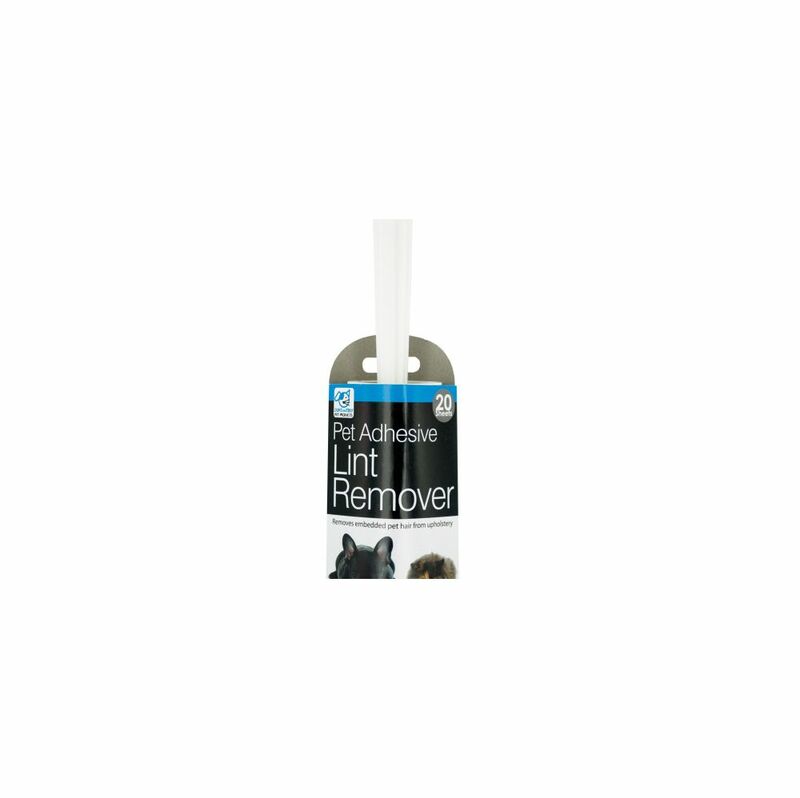 Remove embedded pet hair, lint, dust and dandruff from upholstery, clothing and more with this convenient Pet Adhesive Lint Remover featuring a lint roller with 20 adhesive sheets and a handle with a hanging hole for easy storage. Measures approximately 8.25 long. Comes packaged with a wrap around.